When looking for a new printer, there are a multitude of things to consider, such as speed, resolution, and design. One thing you might not think of when selecting your choice machine, though, is what affect it has on our environment and how much energy the device uses, both when it is in use, and when it is in sleep or standby mode. Consumers who are looking for an energy-efficient solution to lessen their impact on the environment and reduce energy bills should look for a device that is certified by Energy Star. Energy Star is an international standard created by the US Department of Energy and the US Environmental Protection Agency. Its main goals are to protect the environment and save users money. The program includes rules and regulations that must be followed by a printer manufacturer in order to earn the certification. These guidelines also continue to evolve, becoming more strict over time, ensuring that manufacturers continue to reduce their energy footprint. By using an Energy Star compliant machine, you can not only cut the effect your printer has on the environment and the amount of greenhouse gas emissions exerted, but you can save money on your energy bills. The easiest ways to find Energy Star certification is to check the box, manual, or even the printer itself. 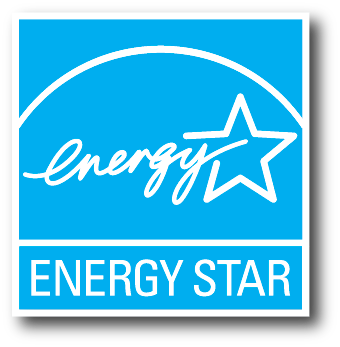 Making the Energy Star logo easily viewable is part of the requirements for certification. When shopping online, many retailers list the Energy Star certification prominently, as it is a great selling point. Some even include it as a checkbox when comparing different models. Many manufacturers provide Energy Star information on a special page on their website, such as HP’s Energy Star page. Here, they note the different products that are certified, and some of the features that help to save energy. For example, the HP CP1215 uses an Instant-On feature that allows it to power down with a very short warm-up time. Therefore, it can conserve energy when not in use, but still provide a quick response to users. Models like the HP L7680 can conserve energy AND supplies with features like duplexing, which uses less paper and less HP L7680 ink. In 2009 alone, over $17 billion was saved on utility bills in the US because of Energy Star machines. Given the choice between a printer that is Energy Star certified and one that is not, you should almost always choose the Energy Star model. You will have the benefit of reduced energy consumption, with little to no impact on functionality, and be sure that you are doing your part to help the environment, while also decreasing your energy bills. Also remember that you can have an even greater impact on the environment by taking part in printer cartridge recycling programs.